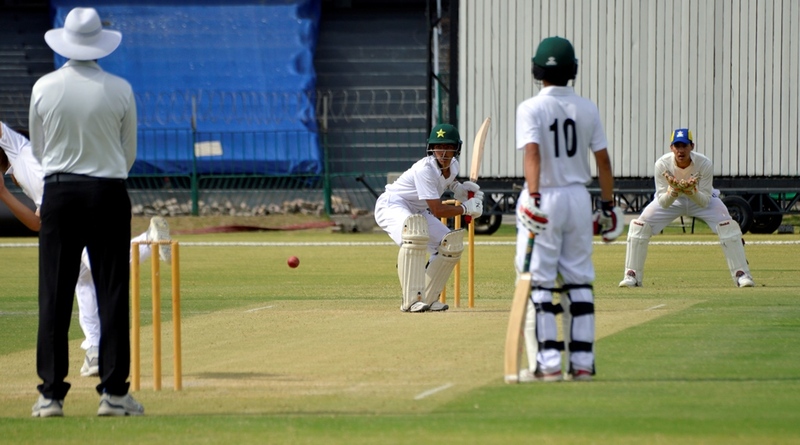 Lahore, 12 April 2019: A century by Sameer Saqib who shared a 130-run third wicket partnership with Umer Eman for NCA U16 Mujahid were the highlights of the first day of the two-day U16 practice match at the Gaddafi stadium on Friday. Saqib, the right-handed opening batsman scored 137-ball 106 with 20 fours. Umer Eman contributed with a 115-ball 41 laced with four boundaries and a six. Haseebullah, who came to bat at number seven, scored a quick-fire 54-ball 69 with eight fours and three sixes. Earlier, NCA U16 Mujahid won the toss and elected to bat first, were dismissed for 333 on the last ball of the day. For NCA U16 Shaheen, Khalid Khan took three wickets. Arham Nawab and Ali Asfand bagged two wickets apiece.